As the end of August draws near, we’re all counting down the last days of summer with a heavy heart. But with colour schemes, furnishing and accessory themes, there’s a way to keep that light, breezy summer feeling all year round. ani M INTERIORS Middleton Road recent project is a great example of light, airy decor that retains its summer appeal regardless of seasonal changes. Moving on, below listed are a few ways to create a ‘summer slumber idyll’ and lock it for the entire year. White on white never looks tired. 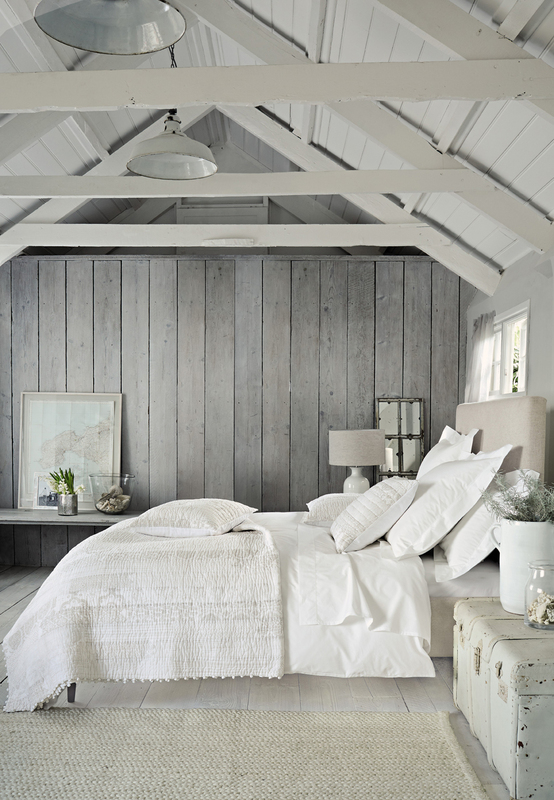 And in a bedroom, it lends a relaxed coastal feel, when combined with raw natural materials and stone shades. The White Company’s Pimlico offering is a great example. Crisp, white bed linen with intricate detailing is sophisticated and it’s impossible not to want to snuggle down into. By adding fresh white Oxford and boudoir pillows, your bedroom will retain that relaxed summer weekend vibe even into the depths of winter. Summer pastels in layers of lighter and darker tones have been a huge hit this season. There’s no reason why they can’t look just as sumptuous into winter too. Combine with shimmering metallic shades for a touch of frosted magic. Kelly Hoppen’s Fluid Velvet Throw in Ice Mint is a perfect example of how to layer the bed for winter warmth without it losing its summer cool. 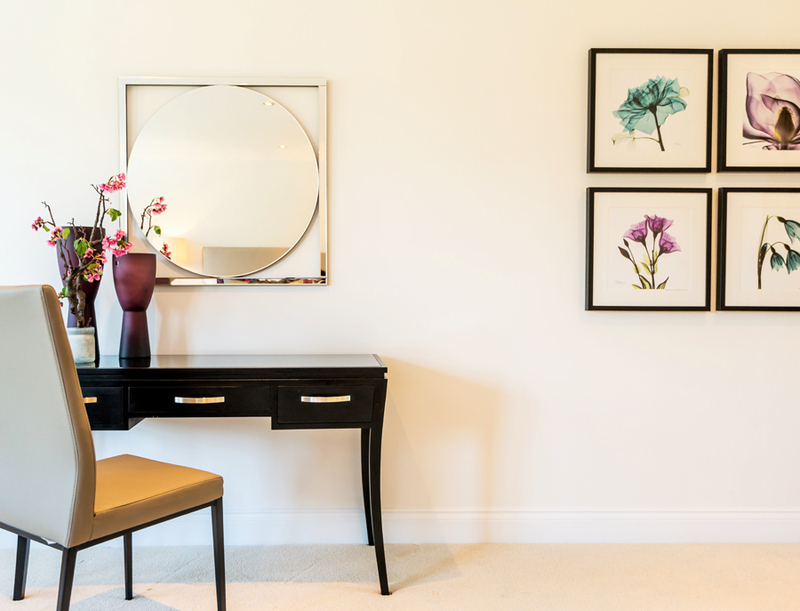 Nothing says summer like fresh flowers, grouped in vases around the bedroom. In winter however, they take on an almost magical quality, bringing colour and scent into your home when the world outside is grey and dreary. Peonies, dahlias, roses and honeysuckle are good choices, bringing unmistakable summer perfumes and forms to cheer you through the winter. The same is true for plants and prints as these examples show. Some well-placed leafy green palms and botanical prints and you’ll never know that it’s raining outside until you look out of the window. Brightly coloured, contrasting patterns evoke images of Moorish bazaars in the dusty midday heat and taking comfort in the cool walled garden watching the sunlit water splash onto the palms and marble. Wouldn’t it be wonderful to have this same feeling in your bedroom as the weather turns cold outside? 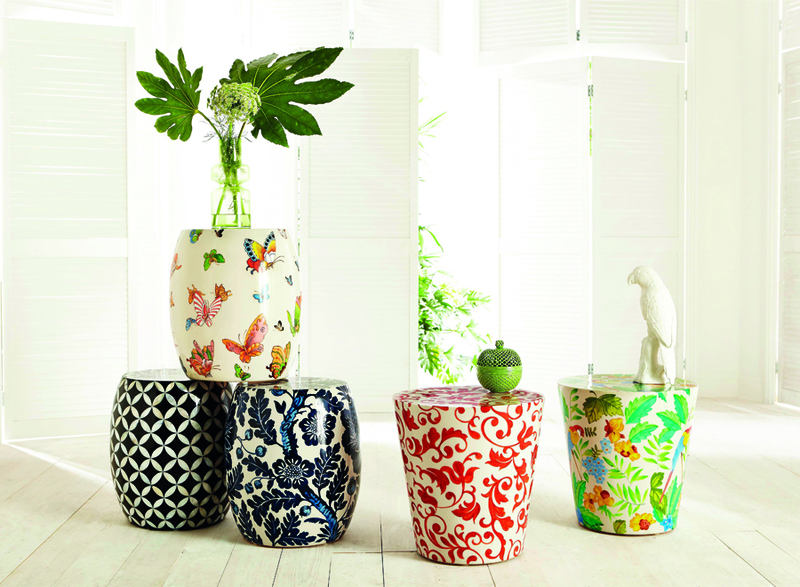 These hand-painted footstools from Feather and Black will do just the trick. It’s impossible not to feel the joy of summer when looking at images of the sea. Trowbridge’s fantastic photography collection of beach and boat scenes, marine life and piers captures the bright colours and clear light of the coast in summer. It may be unusual to hang this type of artwork in winter but that’s the point. 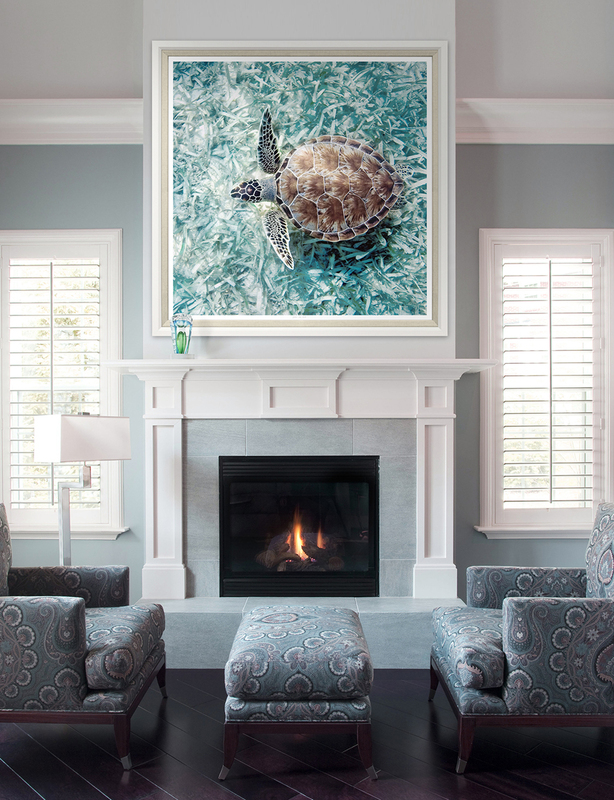 Instant summer chic in the depths of winter especially when soft furnishings pick out the marine blues and greens. Just because the seasons are changing, it doesn’t mean you can’t still enjoy the whimsy of summer. Autumn reds and winter blues complement the bright florals, natural hues and cool whites of a summer scheme. And there’s something glorious about enjoying a light, bright bedroom when all outside the window is cold and grey. If you would like a one to one consultation with a member of our interior design team to decide how best to bring the summer to your bedroom, please contact ani M today.